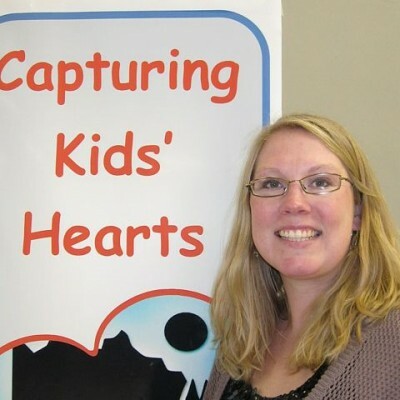 Kalea Cunningham is an English teacher at Wasilla High School. She attended the October 2013 Talk Story, Write Story workshop in Anchorage. My mother told me you can do anything you set your mind to. I tried to do everything. As a freshman in college I struggled to know where I belonged; until this point I knew. My identity was tied to my hometown of Palmer and my leadership positions in high school. When your identity is tied to where you live, you cannot help but feel a little lost the first time you move away—even if it is only to attend the University of Alaska Anchorage, an hour from home. At Palmer High, I was a swimmer. The team was like a family; despite some dysfunction, I knew I belonged. I knew everyone in my graduating class of about 170 students. I was a class officer and catcher for the softball team. My junior year I was the swim team captain and chaired the prom committee. I played in the pep band and was a member of Peer Helpers. Going to a brand new school and town, I wasn’t automatically considered a leader so I wasn’t sure that I belonged. My first year at UAA, my roommates were three girls from my high school. We were not super close, but we had a lot of fun. I was searching for a place to belong at UAA. Nobody could understand how, outside of Palmer, I didn’t know my purpose. Any time in my life when I was searching to find myself, I used leadership as my compass. By spring semester I had made a few friends from my classes, but spent the majority of my time with my roommates. Through attending events hosted by Resident Advisors (RAs) in my residence hall I realized college is the one place people from all walks of life converge en mass. My RA suggested I apply for a position the next year. My outgoing, friendly personality and desire to meet new people made me a strong candidate. I was excited to become involved in something at UAA. Now I was Kalea, the RA; I belonged! I hoped to convince other students to expand their social circles and leave their comfort zones. Getting hired by Residence Life at UAA gave me a niche at college. It led to multiple jobs at the university working with students. I learned how to interact with others from diverse backgrounds, to look at situations from new perspectives, and to accept differences of opinion without confrontation. The situations I deescalated and emergencies I encountered prepared me for coaching and teaching. I definitely became more responsible. One year I planned a luau as an event for resident Welcome Week complete with roasted pig. I became a shuttle to the airport with every end of semester. The people I met because of Residence Life gave me confidence. This time in my life was spontaneous and I relished it. There was always an event going on and always someone to hang out with. My supervisors were extraordinary people and so were my peers. I made lifelong friends. My first Resident Coordinator, or supervisor, was Zach Manzela, who always wore dress shirts embroidered with ZAM. He was patient when I blurted out my thoughts at staff meetings and allowed me to throw-up emotionally in his office. More importantly he listened to me. He gave me a valuable lesson about over commitment. My second year as a RA in MAC (the Main Apartment Complex) I expressed to Zach how overwhelmed I felt. As a member of the Residence Hall Association I needed to reapply fire retardant to the sheets we used as walls for the haunted house before Friday for the children’s Halloween carnival at the Campus Center. I had a truck so I was moving all the haunted house paraphernalia on Friday. I was tutoring other students in English two nights that week, which basically consisted of editing papers and coercing them into beginning their essays. The RAs in my building were planning a Ho-Down for the next month, and I was responsible for planning food and games. I was lost in my math class despite paying for extra tutoring from my professor. At this point I cannot remember what else was stressing me out, but I’m sure there was more I felt responsible for. My stomach was a pit of worry. Zach asked me why I was doing each of those things (besides my math homework), to which I answered, “Because someone asked me.” He then posed the question, “Do you have to do everything someone asks you to do?” I admitted I couldn’t even tell the employee at the movie theater, “No, I don’t want the next size soda for just a dollar more” – when I knew I couldn’t drink it or I’d have to go to the bathroom in the middle of the show – let alone say no to someone I knew. Part of my problem was that I wanted to please everyone. The other part was that I felt like these objectives, programs, and events would not happen if I did not do them myself. He then asked me a question I currently pose to myself when I struggle to say no to taking on another added responsibility. He asked, “Are you the only person who can do this?” Whatever this is, an additional job, position, or committee, the answer is no. Today the mere need of a body to fill a position or job to be accomplished is no longer reason enough for me to volunteer. At that point in my life I did not feel I could commit to tell people no, as unhealthy as that is. Zach had a solution. He gave me a sticky note with “No” written on it and told me when I could not bring myself to tell someone no, I could show them. It was mostly symbolic. He was illustrating that I could say no; it was as easy as holding up a sticky note. This change in outlook did not happen over night; it was a journey. It took me almost ten years to realize the importance of this lesson and start to implement it in my life. I’ve made a commitment to my husband to put as much effort into our life together as I do into the lives of others. Before I take a task I now ask if this job is best for me and my family. I also look at the benefit to me and enjoyment I will get. If the gratification outweighs the cost of time, it is a task worth considering. In the past I would have deemed this selfish, but today I see it as valuing myself. All those things I was involved with were fun, but the reward has to be greater than fun. At that point in my life the only person affected by my choices was me, but today I have my husband and dog to consider. They are worthy of my time. If I am too exhausted and stressed out to take care of myself, I cannot possibly meet the needs of my loved ones. I am worthy of devoting time to myself. My goal is to do a few things well that I find really rewarding. No is the most powerful word a leader can say.